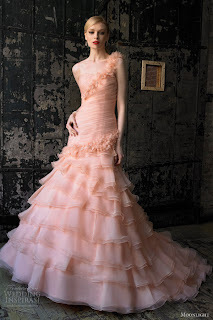 Above: Pink Fall mermaid bridal gown features crystal organza fit and flare gown with beaded handmade rosettes accenting the waist and detachable one-shoulder strap. Above: White moonlight floral mermaid wedding gown that features strapless neckline and handmade flowers accented with Swarovski crystals, beading, and lace. 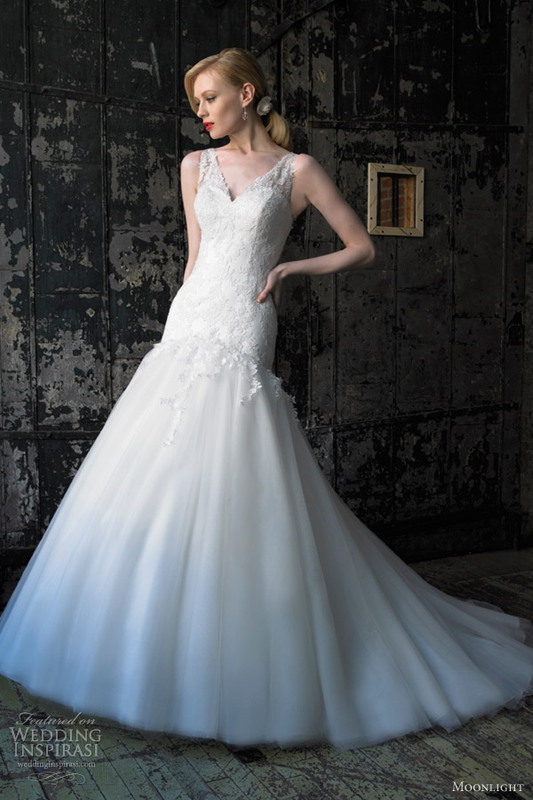 Above: White Sleeveless Lace Mermaid Wedding Dress that features lace bodice and flare gown with layers of tulle along the skirt. 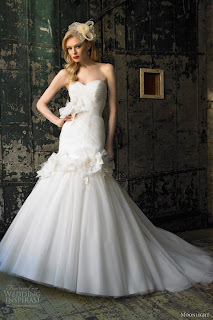 See more fashion about moonlight Fall wedding dress collection at WeddingInspirasi.